I have always loved secret gardens, since first I read Frances Hodgson Burnett’s classic. 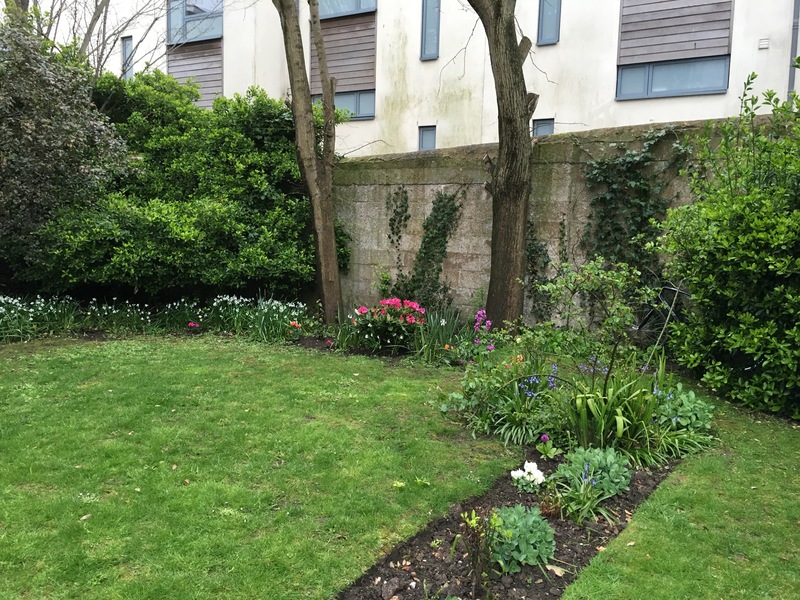 So it was with delight that I entered Brighton Kemptown’s own hidden treasure, the garden that once belonged to 32 Sussex Square, bought in 1830 by Lawrence Peel, younger brother of the Prime Minister. Sussex Square is a beautiful, grand Georgian square developed for rich Londoners to holiday by the sea. Several of the grand houses boasted large gardens accessed by tunnels, with further tunnels leading from the gardens down to the beach. This particular secret garden was bought by Anthony Dale, founder of the Regency Society in 1950. When he died he left it in his will to the people of Brighton. This is when Gavin Henderson, former artistic director of the Brighton Festival stepped in and with the help of Dale’s widow Yvonne ensured that this oasis would not end up turned over to housing, but instead would become a precious jewel of a space, a sculpture garden. 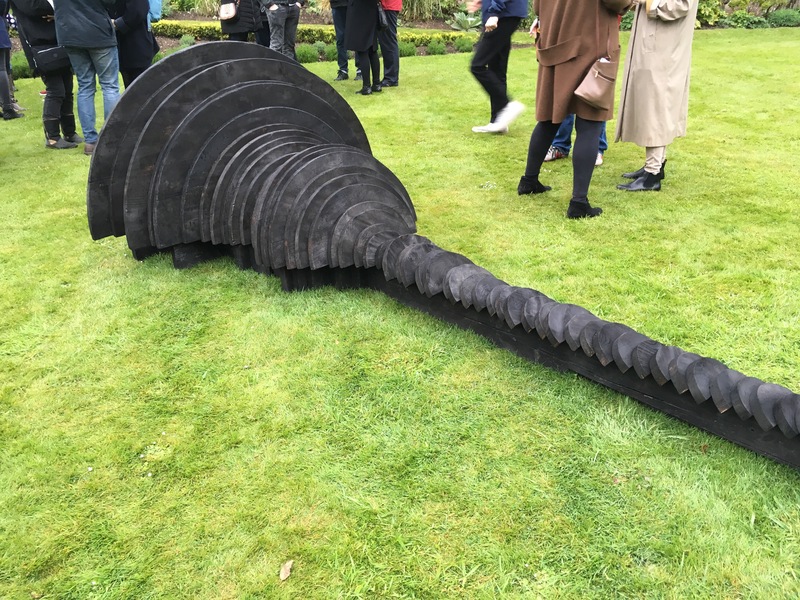 Tonight, we celebrated the opening of that garden with a striking installation by East Sussex sculptor Hamish Black, carved from wood saved from the 1987 storms – a fitting piece for this garden saved as a place of contemplation for residents and visitors to East Kemptown. This is reflected in the planting of garden designer Nick Dwyer, who set out to create an intimate setting with small details to engage the visitor.